Woo! I am so excited to announce my first collaboration with Tobi.com! I will be styling three looks with pieces from Tobi in the coming weeks, and this is my first outfit. 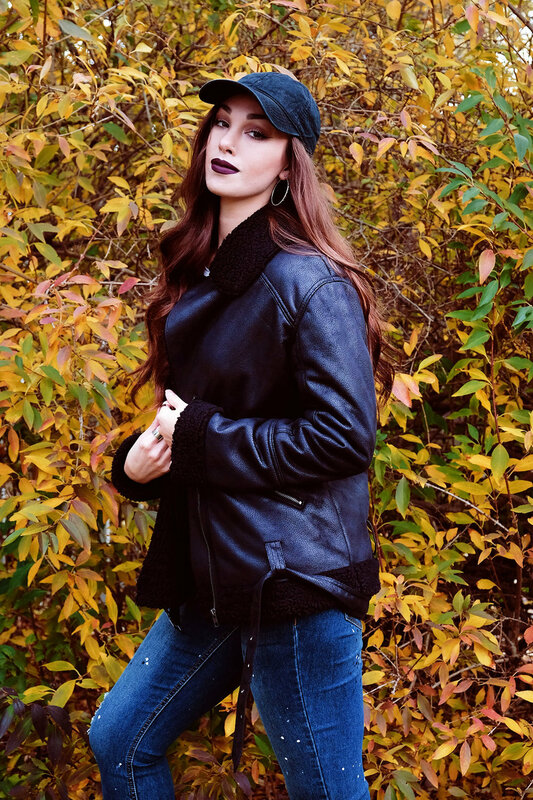 I am OBSESSED with their Moto Jacket which is now on sale just in time for chillier fall weather. 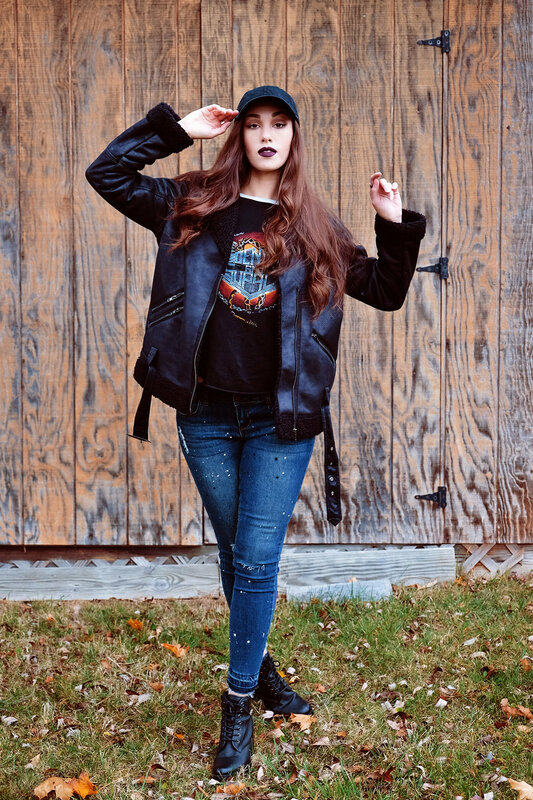 It's completely lined with the softest faux shearling to keep you warm and comfy while staying fashionably on point. Tobi offers 50% off to new shoppers so make sure to sign up and save! Details for this look are listed below. Let me know what you think in the comments! Shirt: Denim & Supply Raglan Graphic Tee, similar here and here.